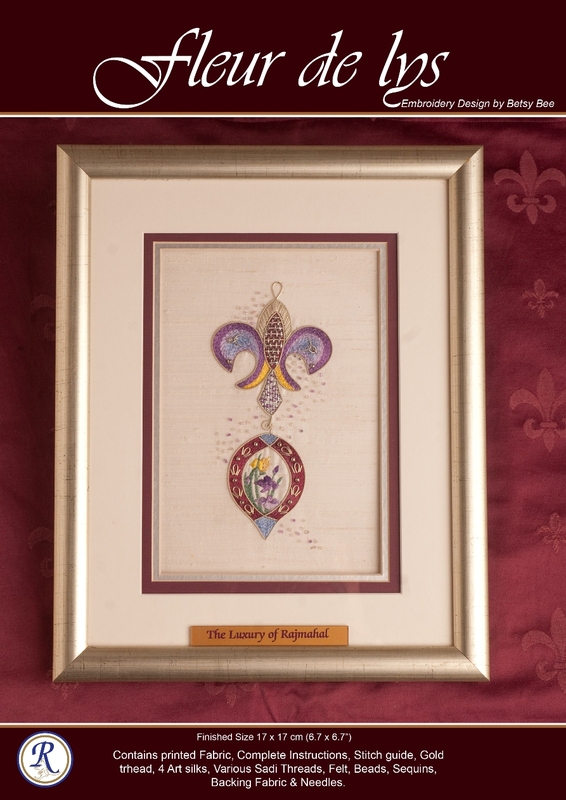 Luxurious Rajmahal Art silks have being used to stitch this stunning Fleur de lys. Cleverly accented using Silver Sadi Metal Threads with a drizzling of seed beads complete this masterpiece by Irene Junkhun. Kit contains: printed Fabric, Complete instructions,Stitch Guide,Rajmahal Art Silks, Sadi Metal Threads,Rajcord, Metal Handsew Thread,Needles & Beads. 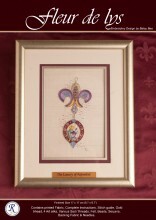 Click the button below to add the Fleur de lys to your wish list.